‘Ahimsa’ by you is the way forward for the world! 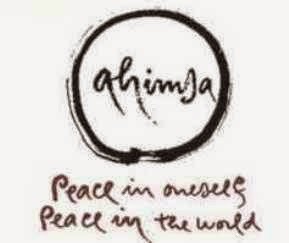 The way forward for the world is ahimsa. And it begins with you and me. 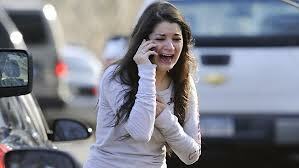 When something like the Connecticut killings happen, you stop for a brief while, shocked and numb. You mourn and then move on. Your own Life demands you attention and then the next big news story takes over. 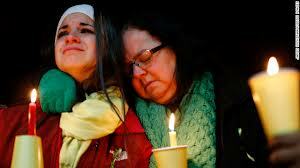 The candlelight vigils and the debates of gun control abate, while you return to the job of earning a living. It is not that you don’t relate to something that happened several thousand miles away, but you feel you are helpless. This is precisely where you, me, all of us, must think differently. We are not helpless. We can do something. Beginning first with each of us. That first step is understanding ‘ahimsa’. In his phenomenally insightful book, ‘Gandhi The Man’, published first in 1973, spiritual teacher Eknath Easwaran, invites us to consider ‘ahimsa’ in terms of our world family. He goes deep into Gandhi’s thinking and discovers that both Gandhi’s personal transformation, from man to Mahatma, and the key to his political strategy to oust the British from India were built on ‘ahimsa’. 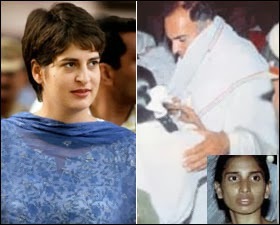 Easwaran writes: “’Ahimsa’ is not the crude thing it has been made to appear,” Gandhi tells us. “Not to hurt any living thing is no doubt a part of ‘ahimsa’. But it is its least expression. The principle of ‘ahimsa’ is hurt by every evil thought, by undue haste, by lying, by hatred, by wishing ill to anybody. It is also violated by our holding on to what the world needs.” So beautiful. Understanding ‘ahimsa’, therefore means, knowing that we must expunge every violent thought and emotion when it rises within us. To do this, take the second step. Of using ‘ahimsa’ to further the flowering of inner awareness of continuously being loving – a state that each of us is capable of being in. Osho, the Master, says we are unable to be in that state forever, though each of us at various times in our lives will attain that state for a brief while, because we are busy holding on, possessing__things, opinions, negative emotions and debilitating memories of past hurts! Says Osho, “The more you possess, the less you can love. And love is the door. Or, the less you can love, the more you start possessing.” So, the trick really is to let go of anything which is a violent thought. For instance, someone betrays you and you want to get even. Every living moment of your becomes violent because your thoughts are full of anger, revenge, hurt and suffering. ‘Ahimsa’ gives you the ability to forgive, to let go and to become love. The third step is to take your love and share your love with everyone you connect with. Which goes beyond your immediate family, your immediate circle of friends, your immediate community. Be love and loving to everyone you see, meet, speak to __ at work, on the metro, in the line at the grocers. To everyone, everywhere. When each of us can be this way, be love and be loving, we will be able to change the world too. From possessing to letting go. From hatred to love. From anger to peace. 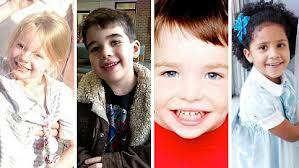 Simply, therefore, if the Connecticut killings shocked you too, then let’s go do something about it. Through understanding and practicing ‘ahimsa’, let’s nail every violent thought that may arise in us. Through doing that consistently, let us allow our true loving self to flower from within. And let that love bathe our world in a new light! Author AVIS ViswanathanPosted on December 16, 2012 March 14, 2016 Categories Ahimsa, Children, Connecticut, Dalai Lama, http://schemas.google.com/blogger/2008/kind#post, Intelligent Living, Love, Peace, ViolenceLeave a comment on ‘Ahimsa’ by you is the way forward for the world!